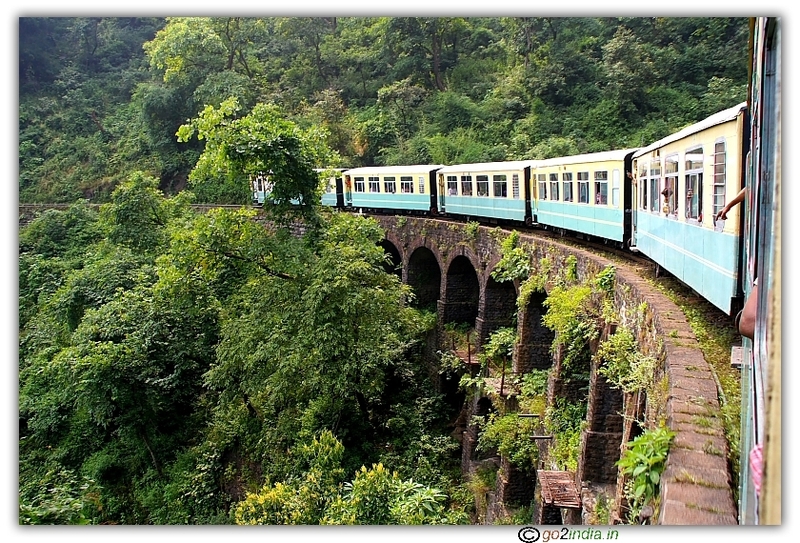 This pass at a height of 3223 meter connects from Rampur side in Shimla district to Kullu valley. 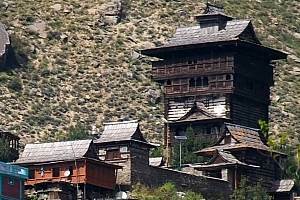 If you are returning from Kalpa, Sangla ( Kinnaur district ) or from Kaza ( Lahaul & Spiti ) and wants to visit Manali then you can use this way to visit Kullu valley and Manali. 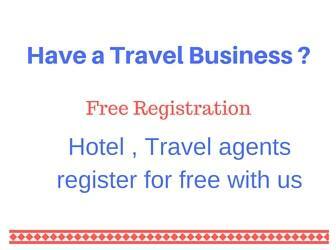 From Kaza you can also visit Manali by passing through Kunzum Pass ( 4551 m ) and in one day you can reach Manali but Kunzum pass is not accessible till middle of June and after that also it gets frequently blocked by snow. 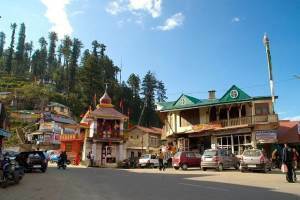 If you are traveling from Shimla or Narkanda side then after traveling 100 KM (from Shimla) you will reach Luhri junction where you will take a left turn to enter into the Jalori pass road. From here the top of the hill or the pass is 53 KM. The straight road will take you to Rampur ( 30 KM ) , Bhavnagar , Karcham, Reckong Peo and further to Lahaul & Spiti. 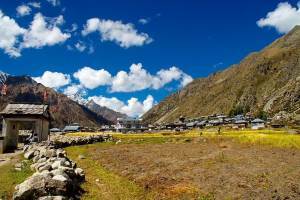 If you are returning from Kaza, Nako, Kalpa, Sangla then after Rampur at a distance of 30 KM you will meet this junction. This road joins main Shimla Manali road at Aut. 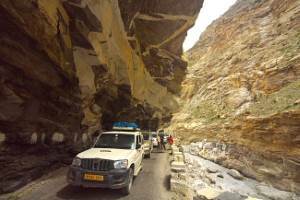 After Larji hydroelectric dam this road joins Shimla Manali road ( just before the tunnel) and enters into the tunnel. This tunnel is 2.8 KM long. From here Manali is 69 KM and Kulu is 29 KM. There are good restaurants here by the side of Beas river at your right side. This road from Rampur side to Kullu side distance is 95 KM. 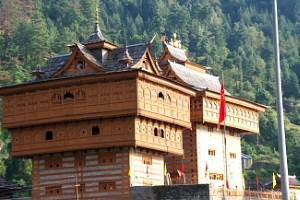 At the top of the Jaluri pass there is a temple and restaurants are available to take lunch. Stiff slope is there for 5 to 10 KM in both sides before reaching the top. All vehicles are advised here to go down in first gear only. This pass remains close in peak winter only. So in months of Dec, Jan & Feb you need to check before using this road. While traveling on this road from Rampur side after travellign 3 KM from the junction you will enter into Kullu district by crossing the river ( at left side ) Sutlej at Luhri. The straight road will take you to Tatapani. After traveling 20 KM from Luhri you will reach Ani. This is town has all modern facilities with good restaurants and shops. You will start climbing the hill and after 25 KM you will reach Khanag. 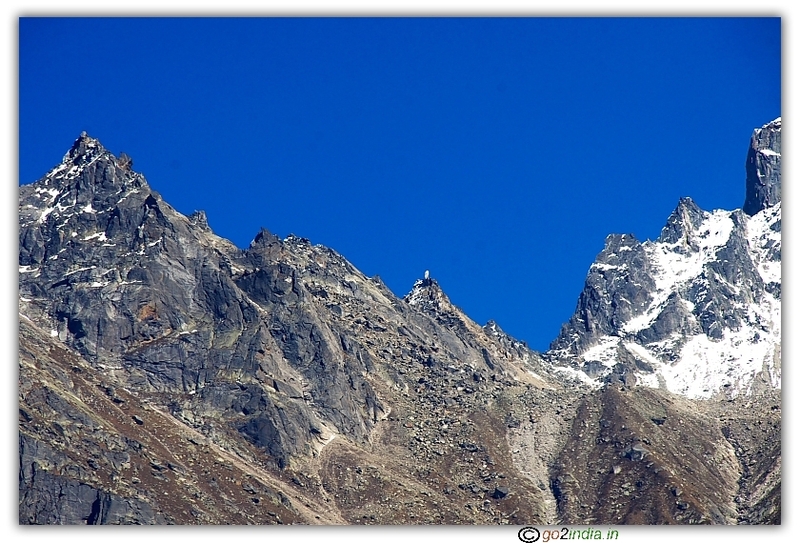 From here the slope increases till the peak ( distance of 6 KM from here ). After reaching the peak you can visit the temple and take your food. Now it is the time to descent. The caution board advise to go down in 1st gear only. The road passes through tall trees and forests and valley will at your left side. After coming down for 12 KM you will reach Jibhi. 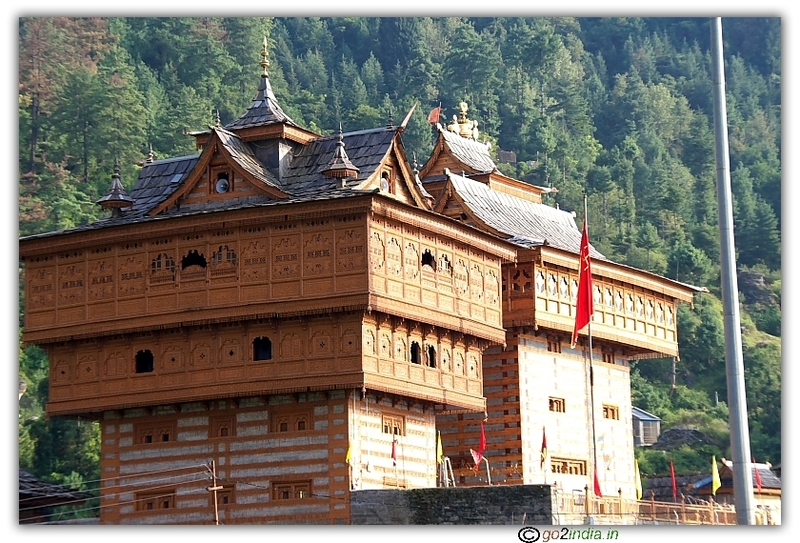 From Jibhi at a distance of 8 KM you will reach Banjar. This town has all facilities with good restaurants and shops. River will be at your right side. After traveling 15 KM you will cross the river again and reach dam area. 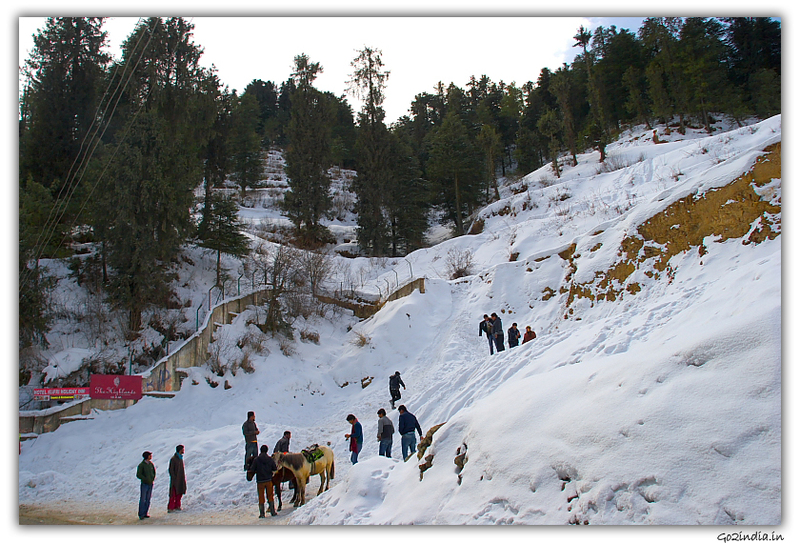 At the end of this Larji Hydroelectric dam you will join the Shimla � Manali road and enter into tunnel. Actually very very beautiful place which will be remember-able for whole life !! !